Whisper quiet, robust and ready to go, this Himoinsa 45kVA Diesel Generator is designed especially for the exacting demands of the rental market. The super silent soundproof canopy muffles the noise so that it produces just 62 decibels at 7 metres, making it a great choice for powering events, residential areas and night works. All Himoinsa generators are encased in a robust anti-corrosive powder-coated steel canopy to withstand corrosive environments and make it more resistance over time. Its sturdy construction is designed to operate in extreme environmental conditions and adverse weather conditions. The water-cooled turbocharged Yanmar diesel engine, Stamford alternator and huge 100+ litre fuel tank generate high performance electricity that you can rely on for 24 hours of continuous power. The set also features a completely sealed chassis and fully bunded base which is able to retain and prevent loss of oil and fuel to the outside making it ideal for sensitive environmental zones. For added safety and security, this model features an emergency stop, Earth leakage protection and lockable panels and doors. 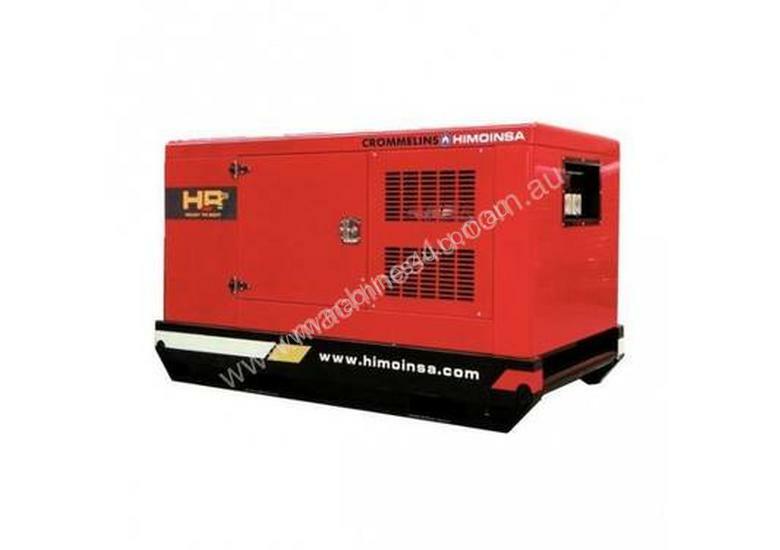 The generator is designed to be easily moved from site to site, with forklift pockets, a lifting eye and skid base to protect the generator base from the wear and tear of frequent use. A 12-month warranty completes the package.